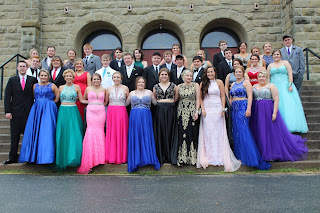 Forty-five grade 12 students crossed the stage at Blackville School on Thursday evening, June 22, to receive their high school diplomas. The valedictorian was Gregory Campbell and the salutatorian was Jensen Urquhart. Reverend Graham Russell gave the invocation and the benediction was given by John Stewart. Joan MacMillan, Director of Curriculum and Instruction for Anglophone North School District, Ron Ecker from the District Education Council and Blackville School Principal Rodney Buggie addressed the staff, graduates and their guests. Later that evening after the graduation ceremony, the graduates had their all night Safe Grad event at the school. 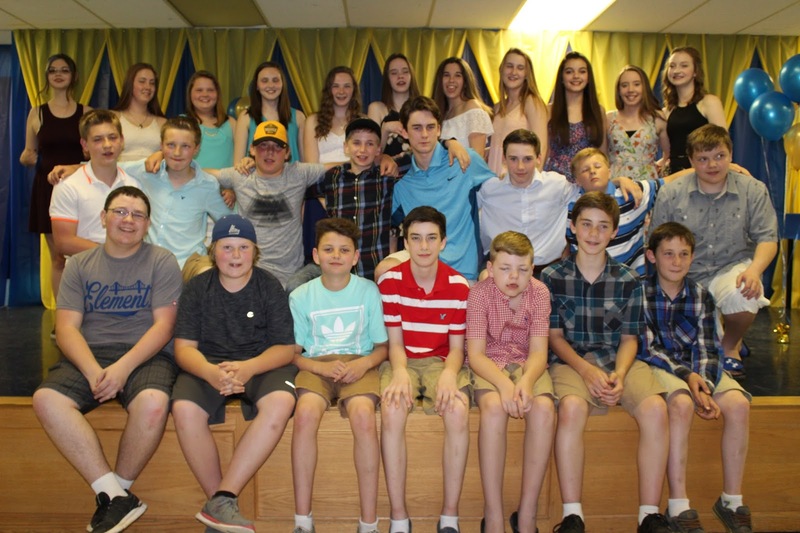 Middle school students were recognized and congratulated on the last day of school this Friday. Students received awards and participation certificates. The middle school staff would like to wish the students a wonderful summer, and they look forward to seeing them again in September. 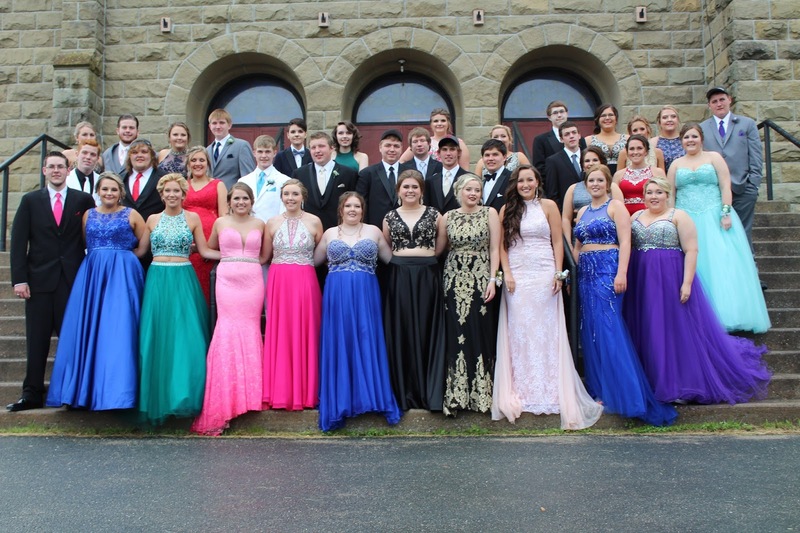 The prom for the Blackville School 2017 graduates and their guests was on Saturday, June 17. 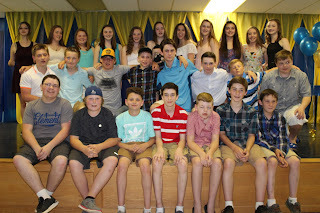 Both grades 5 and 8 classes held their spring banquets this week to celebrate the students entering middle school and high school. Both banquets involved presenting students with awards, having dinner with their fellow classmates, and taking pictures at a photo booth. 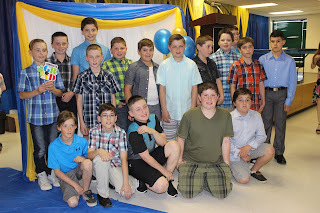 The grade 5 students were presented with various academic awards, with some students receiving Bronze B recognitions for excellent academic standing. 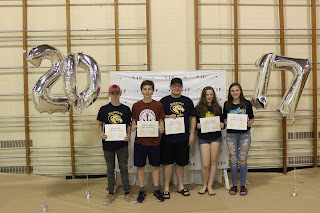 The grade 8 students were presented with their own individual awards that were personal to them. The Blackville staff congratulates all award recipients and wish all the students good luck in the 2017-18 school year. 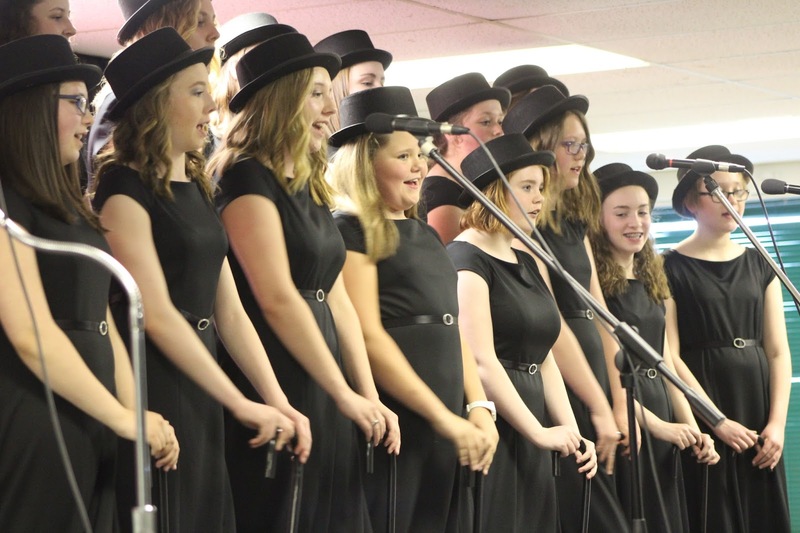 The Blackville School Senior Girls Choir received some major recognitions at the New Brunswick Music Festival. The choir was awarded first place, receiving the Prix Paul J. Bourret Award. 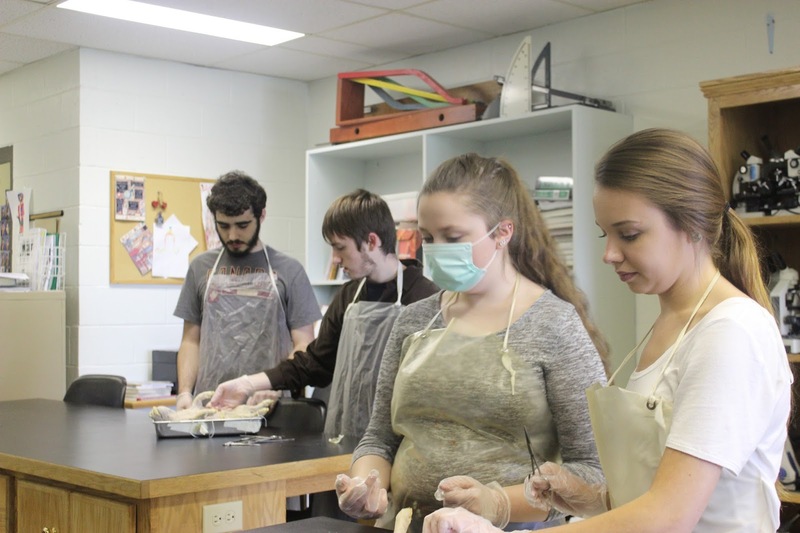 The choir was also recommended to compete at the national level at the National Music Festival, based on their tape recording that was sent to Mount Allison to be judged. It is expected that the Girls Choir will send a tape to be judged at the national level. 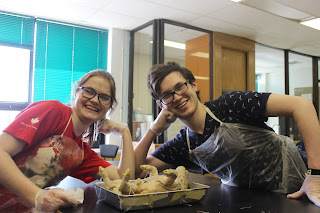 This was the last year of choir for three students, Cameron Hambrook, Rayna MacVicar and Jensen Urquhart are graduating this year. It is also the last year for Choir Director and music teacher Cathy Frenette who is retiring this year. 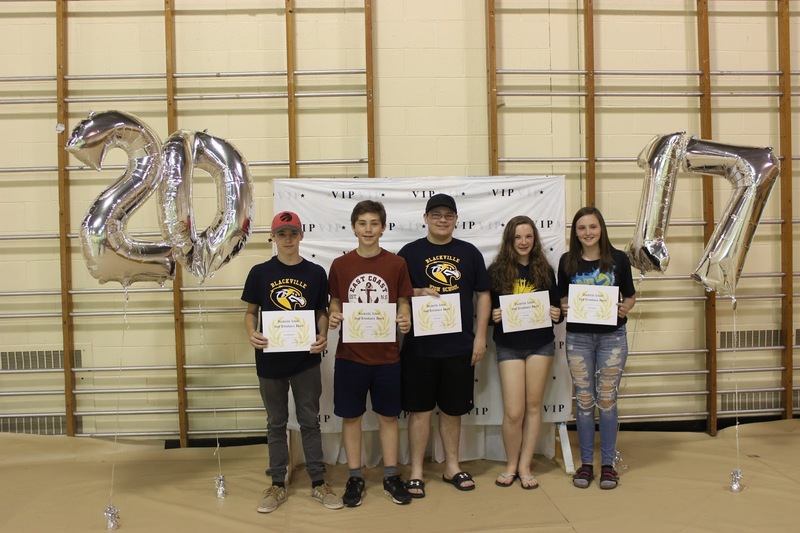 The middle and high school students, coaches, teachers, parents, and other family members gathered in the gym for a presentation of awards for academics, athletics, and extracurricular activities on the morning of June 5. Ryley Hallihan and Lauren Vickers, the grad executives, served as this year's Masters of Ceremonies. 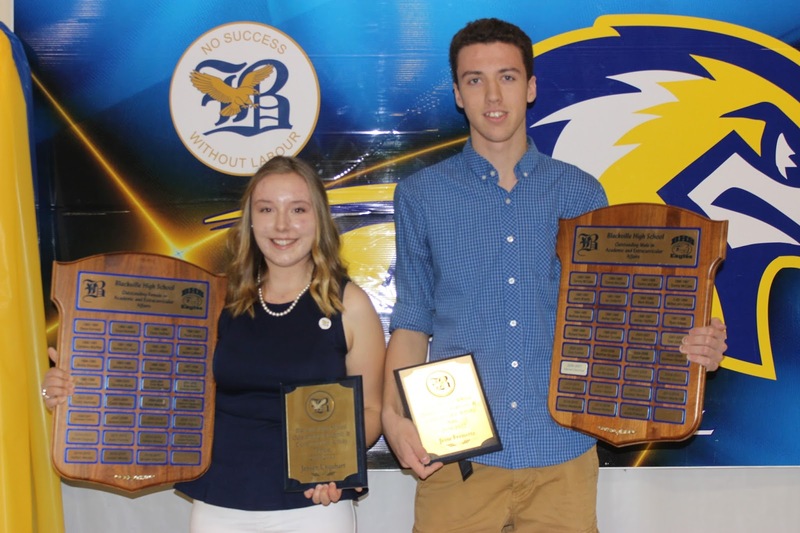 Jensen Urquhart (grade 12) and Jesse Frenette (grade 11) were awarded the Outstanding Female and Male in Academic and Extracurricular Activities, respectively. 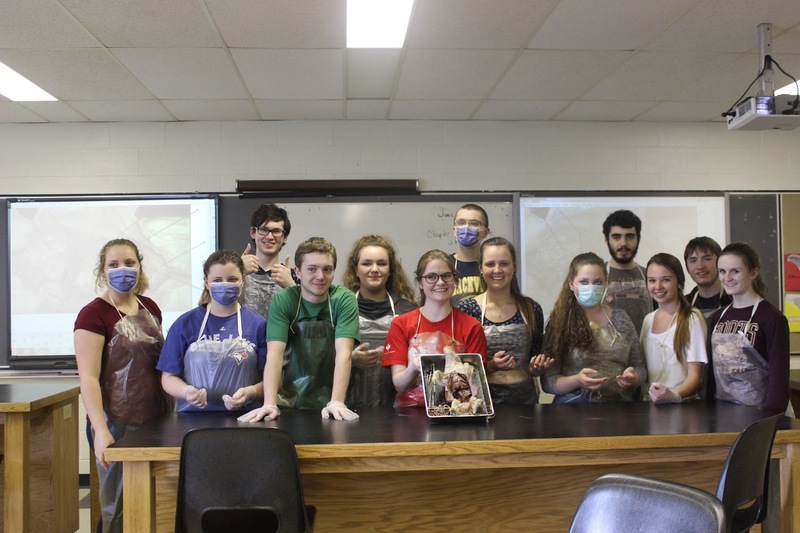 Kailey Donovan (grade 12) was awarded the Fenton Sturgeon Memorial Award. The award is presented to a grade 12 student who has been participating in sports through all four years of high school, while special consideration is given to students who have volunteered their time to coach younger athletes outside of school hours. 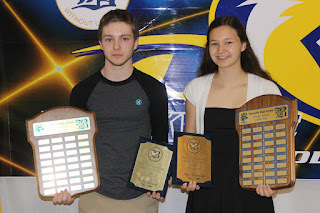 High School Female and Male Athlete of the Year were awarded to Abby Donovan (grade 11) and Daniel Richard (grade 11). Middle School Female and Male Athlete of the Year were awarded to Andrea Lynch (grade 8) and Keaton Walls (grade 8). Daniel Richard (grade 11) was also awarded the Kathy McCormack Award, which recognizes athletes who are outstanding school ambassadors. Cameron Hambrook (grade 12) was awarded the School Spirit Award, which is awarded to a student who shows an outstanding example of school spirit. Riley Keenan (grade 12) and Kailey Donovan (grade 12) were awarded an athletic letter, a new award this year, given to students who have accumulated a total of twelve points during their time in high school. One point is awarded for every varsity sport the student has been a part of, with extra points being awarded for things like being captain and winning a regional or provincial title. 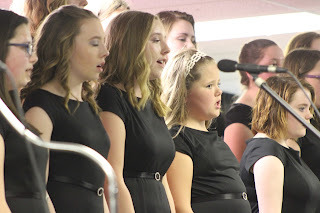 The Blackville School elementary and girls choirs, along with the jazz band, performed for the community at the annual Band and Choir Spring Concert on May 30. This was the final performance of the school year for band members, and the second last performance for the choir. It was also the last time many of the students would be directed by music teacher Catherine Frenette, who will be retiring. Both the choirs and the band had been practicing for this event and dedicating time out of their days to make sure that it went well, and they really delivered. The concert started off with four songs performed by the jazz band and grade nine music class. They began with "In the Mood" which was followed by the Beatles song "Hey Jude." "Hello" by Adele was then sung by Amber Walls in grade eleven, and accompanied by a few members of the jazz band. The band then ended their performance with "Rock Around the Clock". The community always respond well to the jazz band's concerts, and this was no exception. The final band performance of the year went smoothly, and the members should be proud of themselves. A short intermission followed, and the choir took the stage. 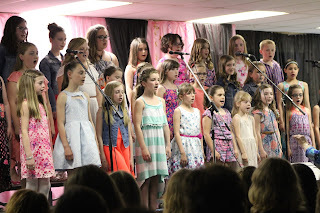 A wide range of group songs, solos, and duets were performed, and every member did an excellent job with their pieces. The songs were sung perfectly, and the audience could tell that a lot of practice had went into this performance. The choirs at Blackville have never disappointed at a concert, and they certainly kept it up. Clearly the long hours of rehearsals paid off. 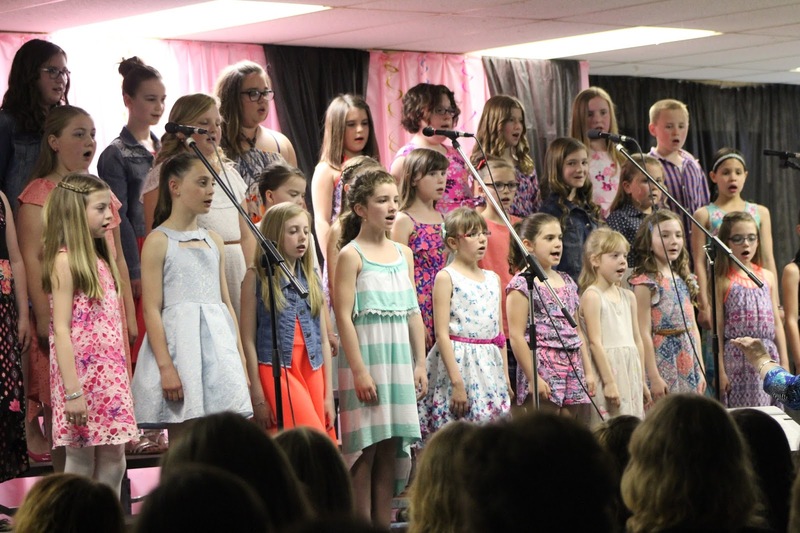 There is no shortage of musical talent at Blackville School, and the annual Spring Concert is an excellent representation. All performers did a great job, along with Ms. Frenette. It's safe to say that practice really does make for a perfect concert. For more pictures from the concert click here.